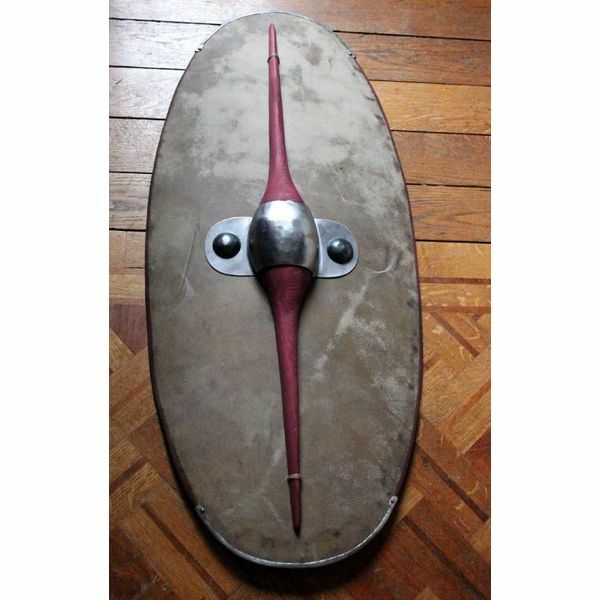 This shield is a replica of an original found in the lake of La Tène (Switzerland). 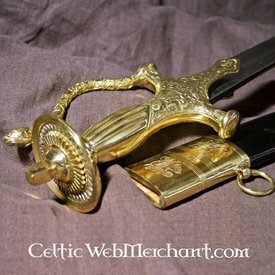 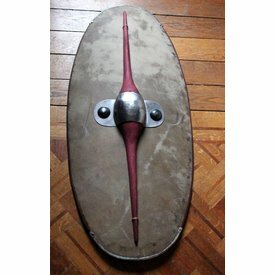 Shields like this were used in the whole Celtic world during the La Tèneperiod. 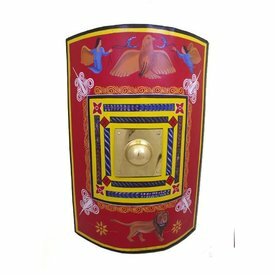 This shield consists of several layers of wood, just like the original. 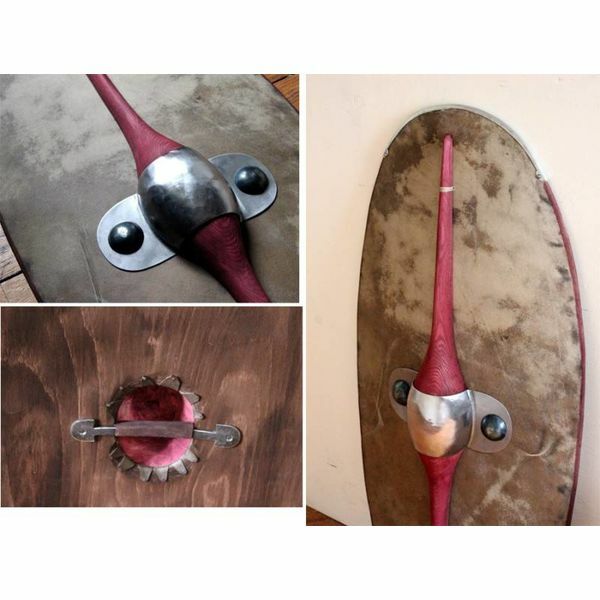 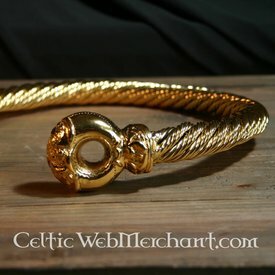 It is covered with dyed leather for extra strength. 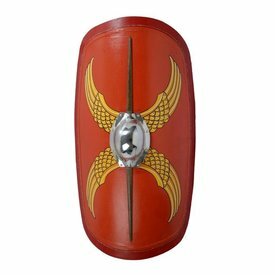 The shield boss covers a large part of the shield and is made of iron and wood. 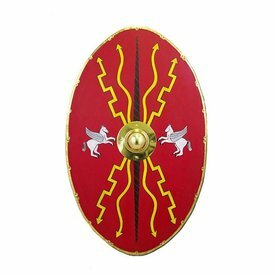 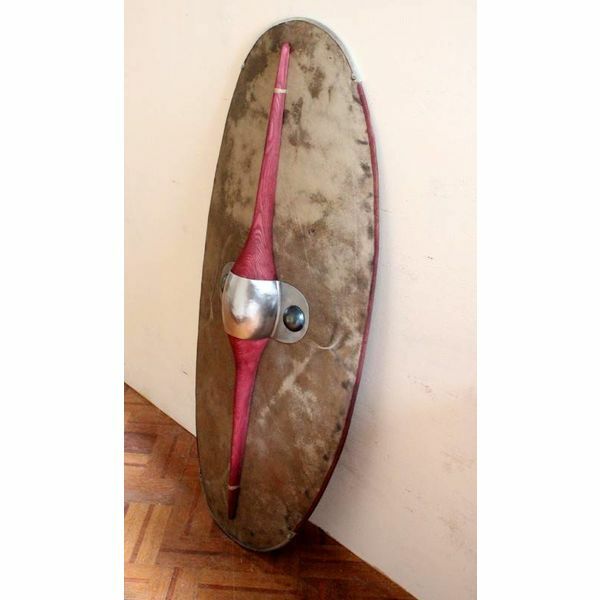 The length of the shield is 99 cm and its maximum width is 46 cm. 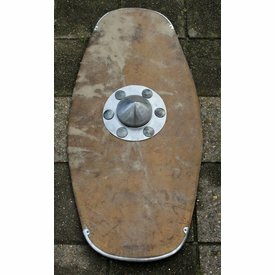 It is about 13 cm thick. 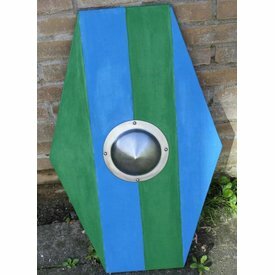 This shield is a museum replica.